lan Toys practices the “Three R’s” of green living: Reduce, Reuse, and Recycle. Plan Toys manufacturing processes is designed to reduce waste and save energy. Plan Toys are always looking for new ways to improve and preserve our environment. They create innovative educational toys for every developmental stage of childhood. 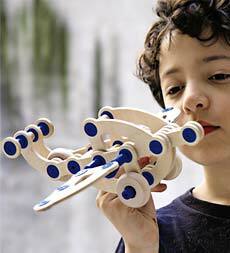 Plan Toys incorporates thoughtful design and age-appropriate challenges to stimulate children’s creativity. The Parking Garage is equipped with three floors of parking space, an elevator tower, and helipad. The set includes a figure, car, gas station and car washing machine. When wee wranglers climb onto the back of this sleek and sturdy steed, the playroom morphs into the open range, and galloping good fun follows! But what really sets this handsome horse apart from the herd is its space-saving design – after a hard day’s ride ’round the prairie, it folds up to be stored out of sight. 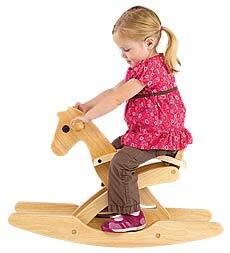 Beautifully made in Thailand from renewable rubberwood, for little buckaroos ages 2 and up. The new E-Racer will thrill eco-minded moms and kids with sleek design and nimble handling and the extra benefit of having a tiny environmental impact. 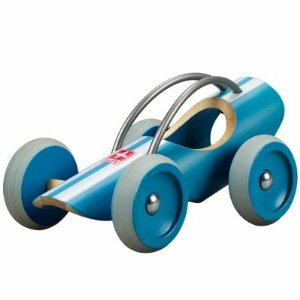 The body of each E-Racer is built from one single piece of renewable bamboo and finished in non-toxic, water based paints from Europe. Building boats is serious business in Maine and these masterpiece dories are no exception. Made by a former fisherman, each is an exact mini-replica of the classic dory still in use along the Maine coast today. 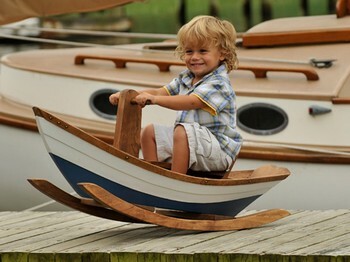 Each boat is skillfully constructed from a variety of hard and soft woods that are salvaged from a local sawmill! Each dory is multi-colored, numbered, dated, and signed by the artist using child safe paints and stains. This is the perfect set of cookware to get your young chef “cooking”. The cookware, dinnerware, and silverware are made of natural wood with orange water-based paint. Included are salt and pepper shakers that sound like the real thing, 2 knives, 2 forks, 1 pot with lid, 1 fry pan, 1 large ladle, 1 spatula, 2 dishes, and a kitchen towel. Start with one-and keep building up! Made by Mishi (the 1-2-3 Grow with Me designer), this open-ended construction set lets kids build anything they can imagine. 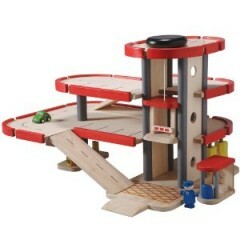 Comes with 126 pieces including curved lines, straight lines, wheels, connectors and more, that simply snap together for easy assembly. Parents also love its smooth wooden surface (keeping pesky splinters away). Ever wished you could capture the light of the moon or sun in a jar? We did it for you! 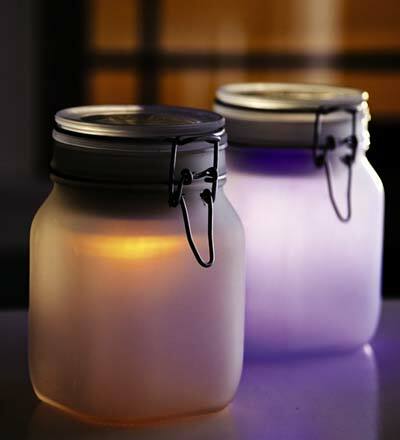 Our Solar Glow Jars feature the classic style of old mason jars with a built-in amorphous solar panel to store the power from the sun and convert it into a soft glow for hours. Eight hours of daylight (even in cloudy weather) will produce a gentle glowing light for up to 8 hours. Makes a unique night light or decorative accessory, indoors or out. 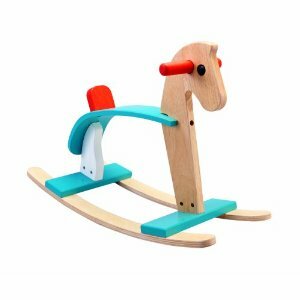 Plan Toy Arabian Rocking Horse is elegantly styled with a pleasing combination of curves reflect Euro-contemporary form. The Arabian comes with red peg handles and a red tail that doubles as a seat back. There are aqua footrests that match the aqua seating area. The gentle arc of the rockers prevents tip-over from during vigorous rocking. The Arabian is a great rocker for children ages 3 -5. 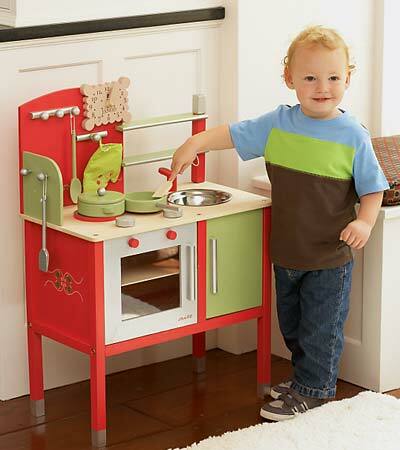 Kids will love cooking up imaginative meals with their first wooden play kitchen. 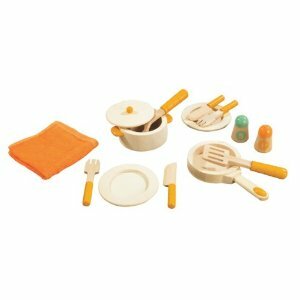 Designed with decorative details, play set comes with 3 cooking utensils, 2 pots, stainless steel sink, oven mitt, pretend clock with movable hands and lots of storage. It’s the perfect size for little ones and great for apartments or smaller rooms. 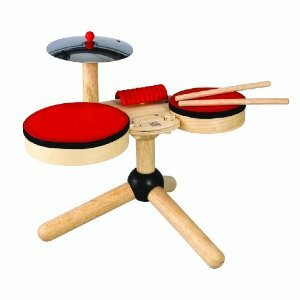 Plan Toy Musical Band is a complete drum set for preschoolers. It comes with two drums, a metal cymbal, guiro and two drumsticks. This set stands over 13″ tall – just the right size for young musicians. The drums are made of hardwood with strong and resilient latex drumheads, built for years of drumming. This set encourages your child to develop his sense of rhythm and music – great for building an early math skills foundation. Musical Band is a fun set for budding musicians.